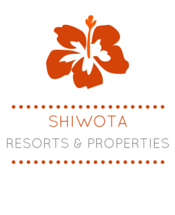 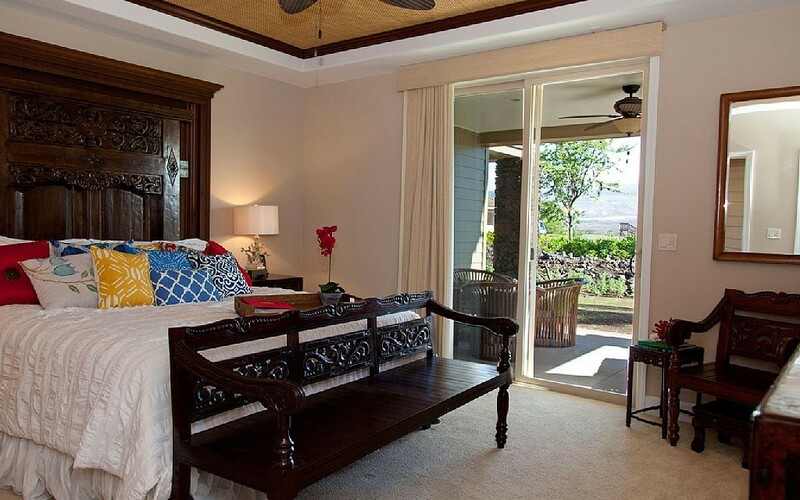 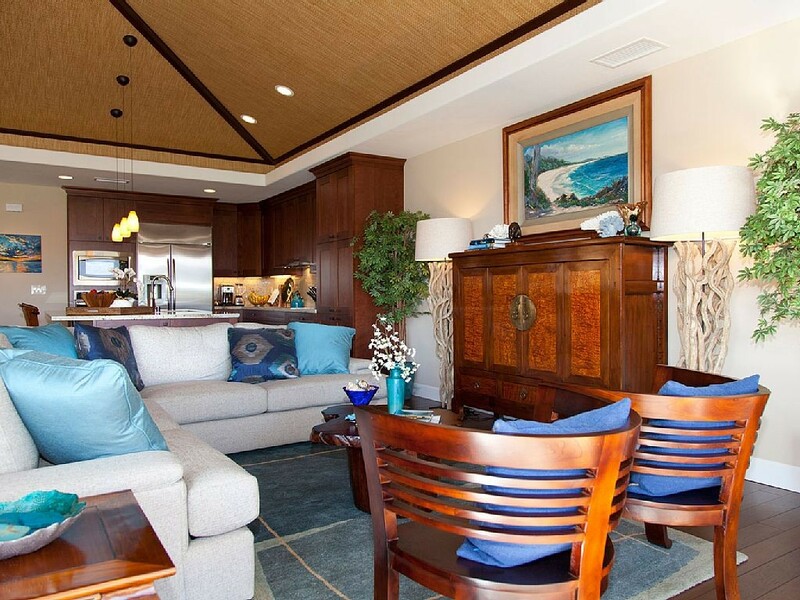 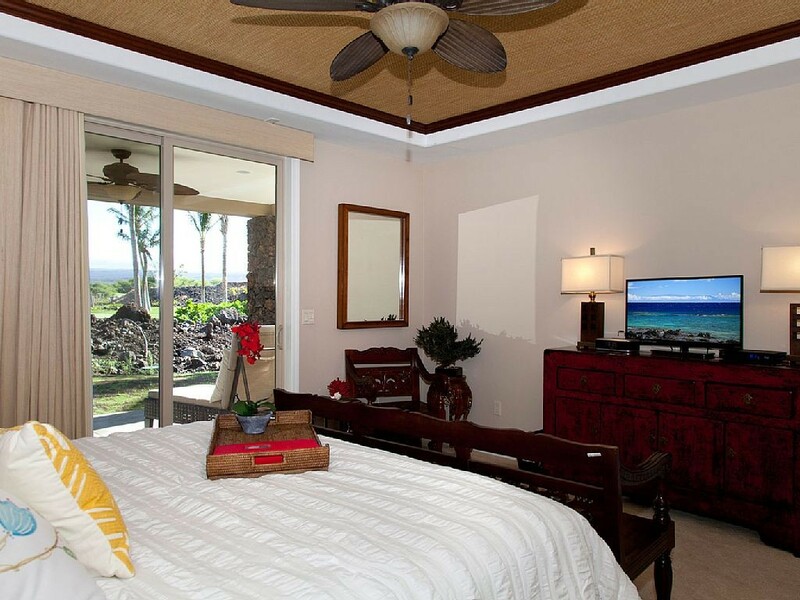 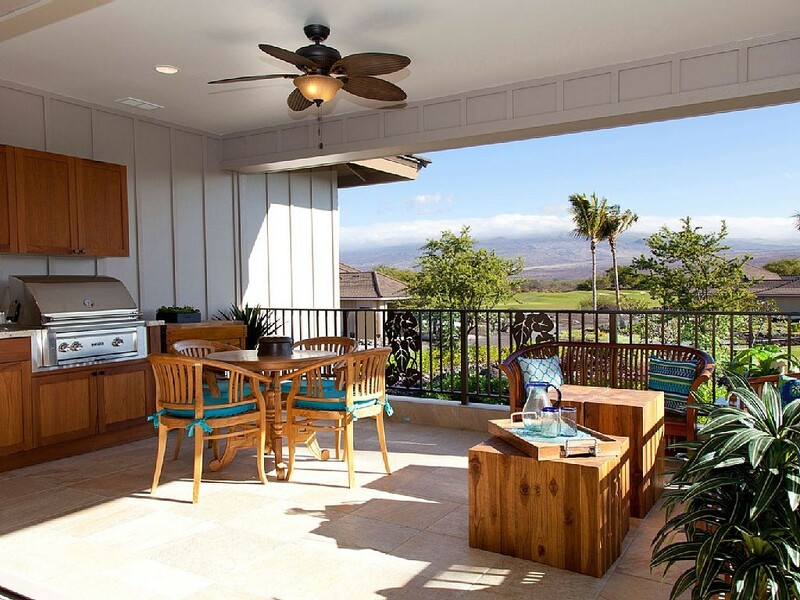 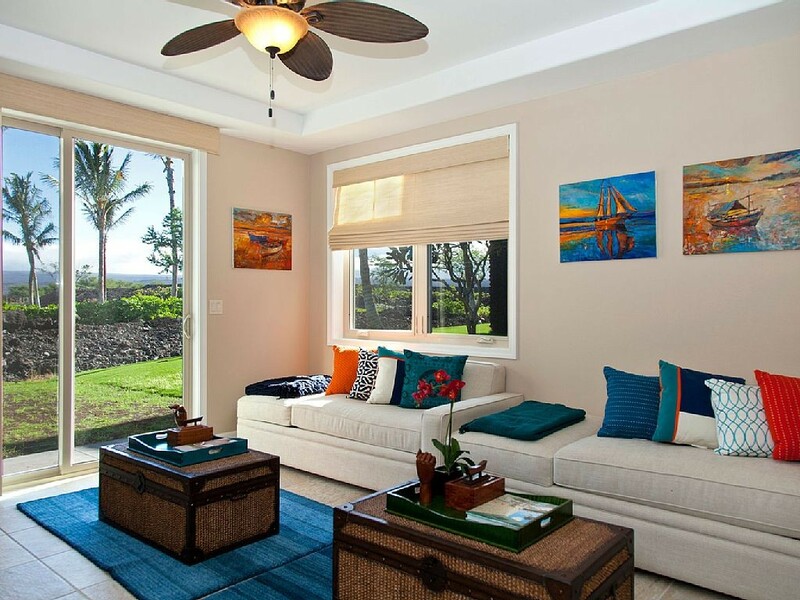 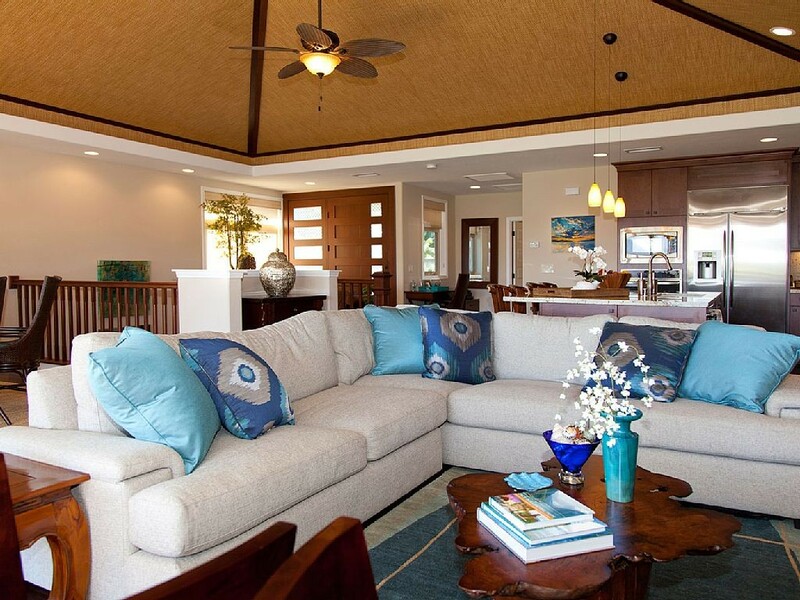 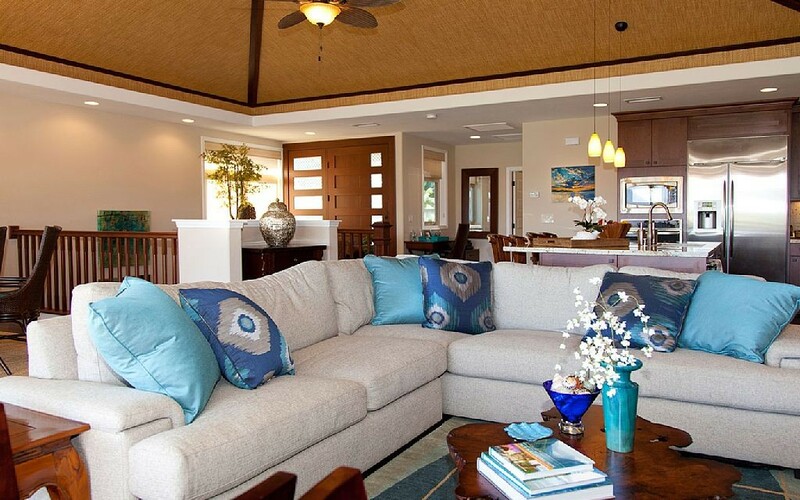 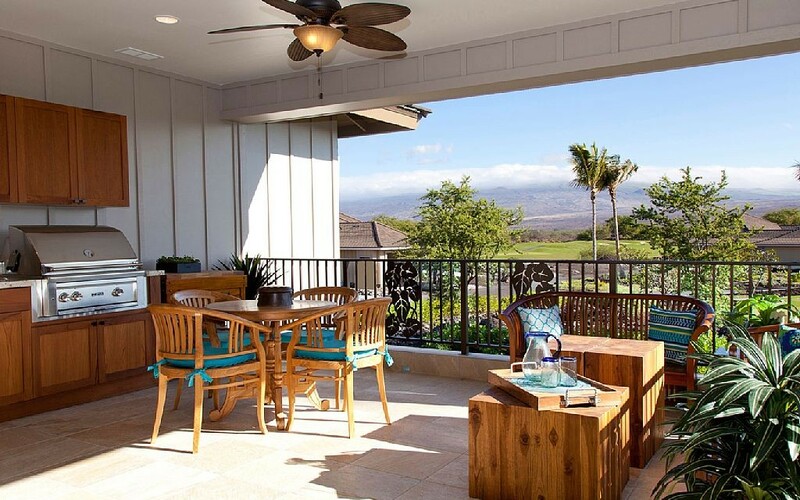 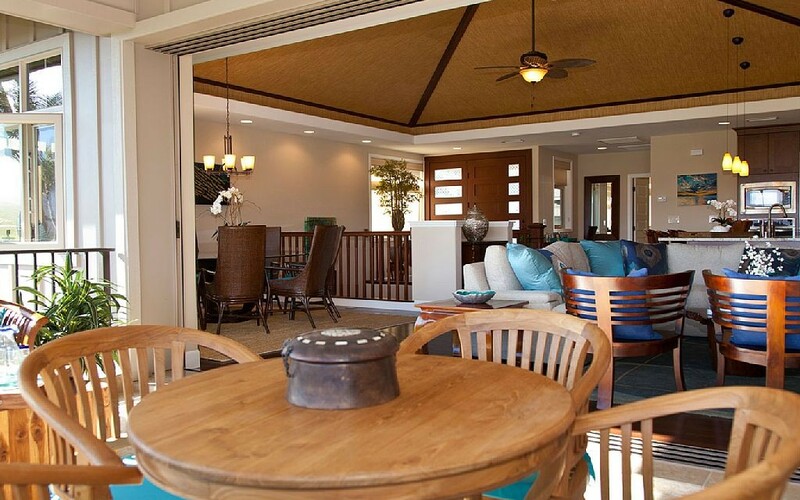 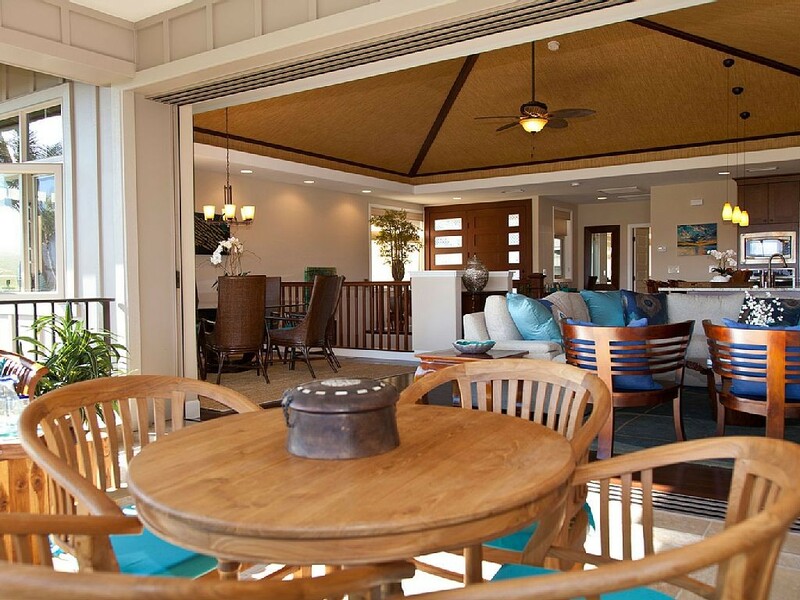 The Mahina is our largest and most popular home in KaMilo. 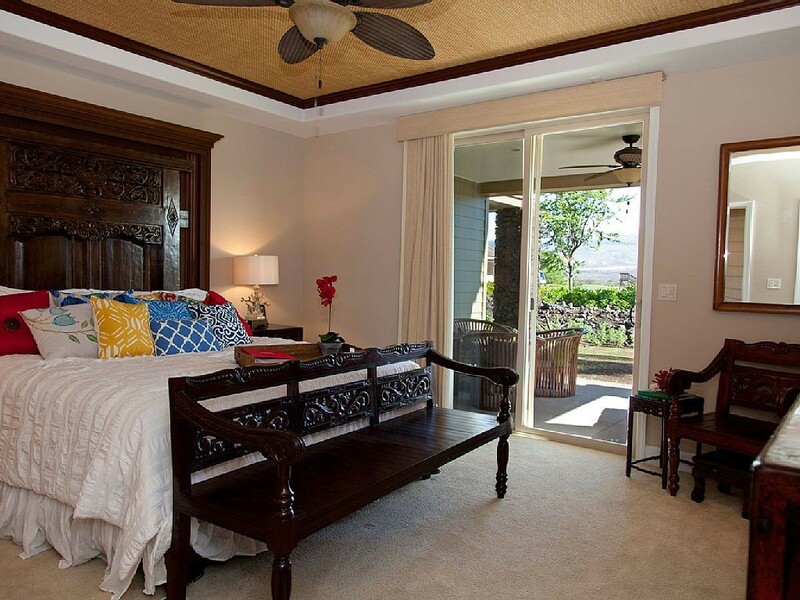 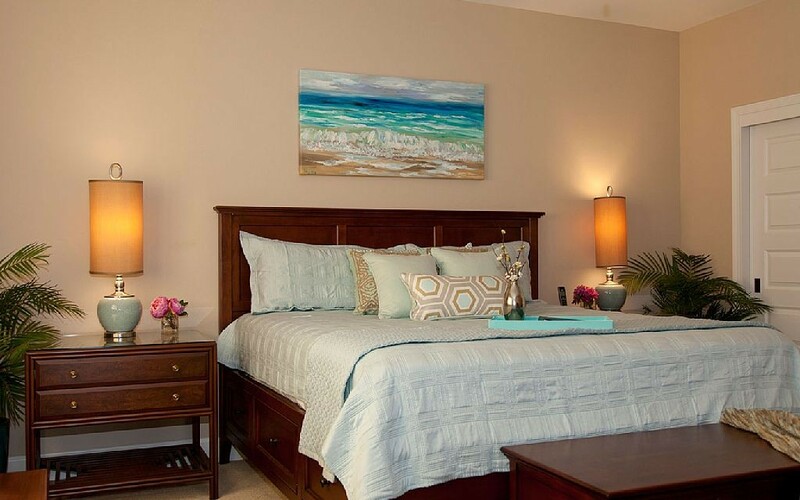 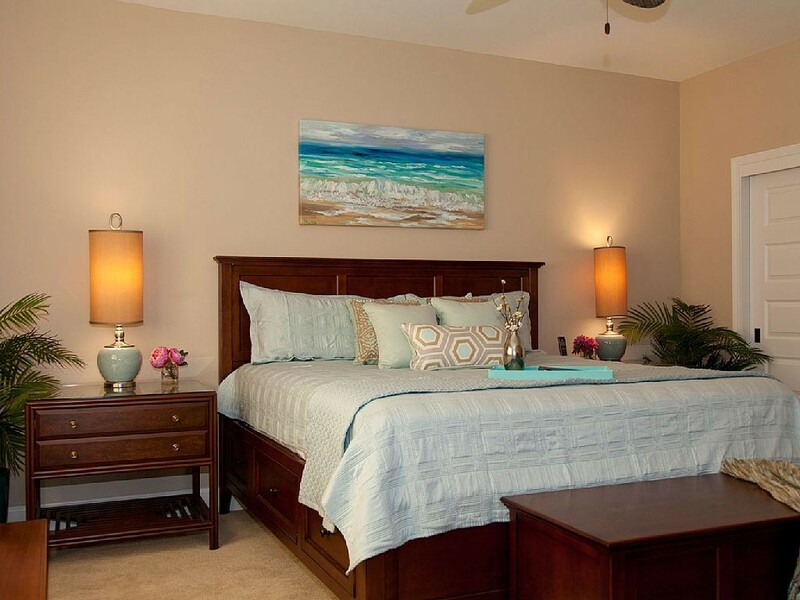 This home sleeps up to 12-people and is ideal for large families or groups. 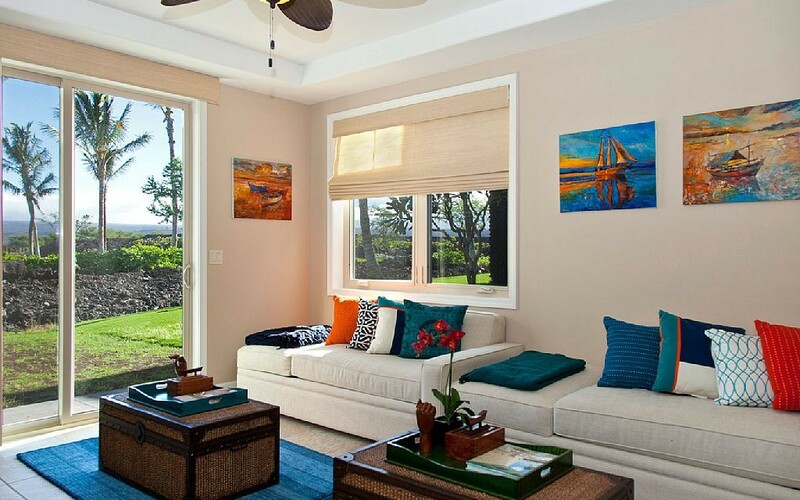 Inside quality surrounds you. 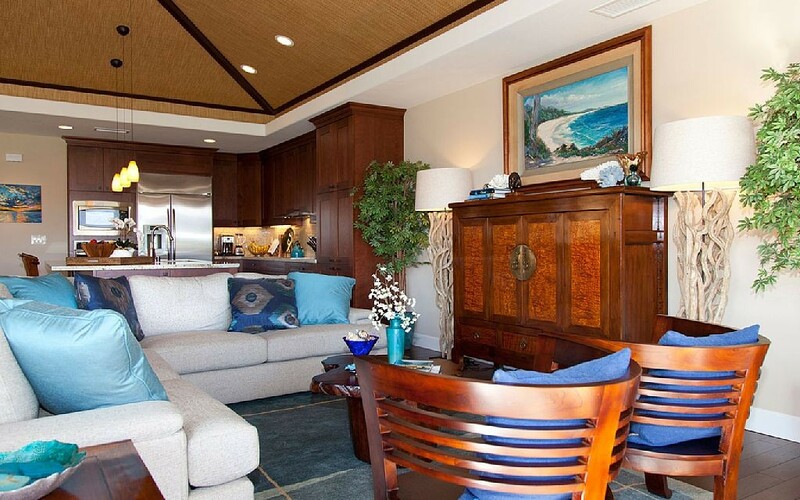 Look up at the valuted, coffered ceilings in the Great Room. 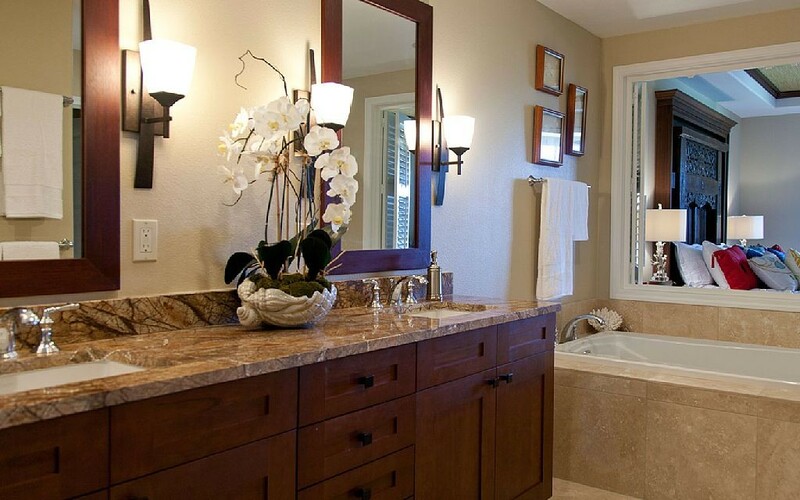 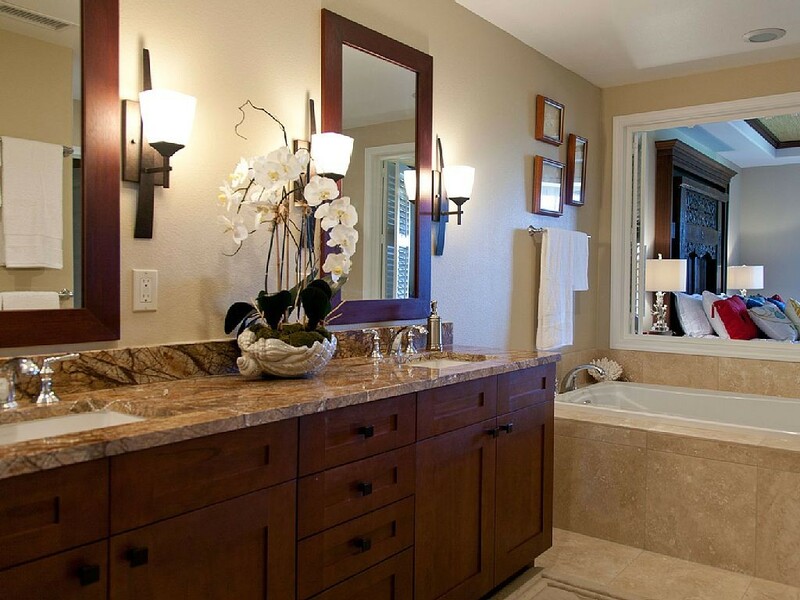 Enjoy high standards like his and hers vanities in the master bath, Kohler plumbing fixures and family and media room with large flat screen televisions. 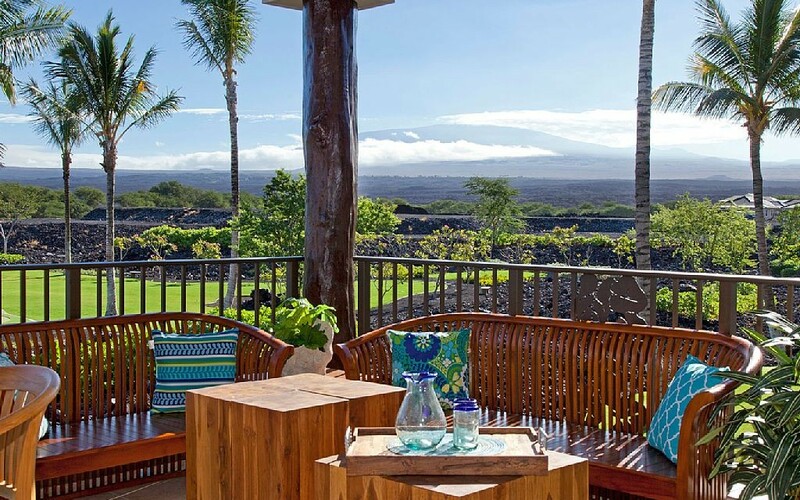 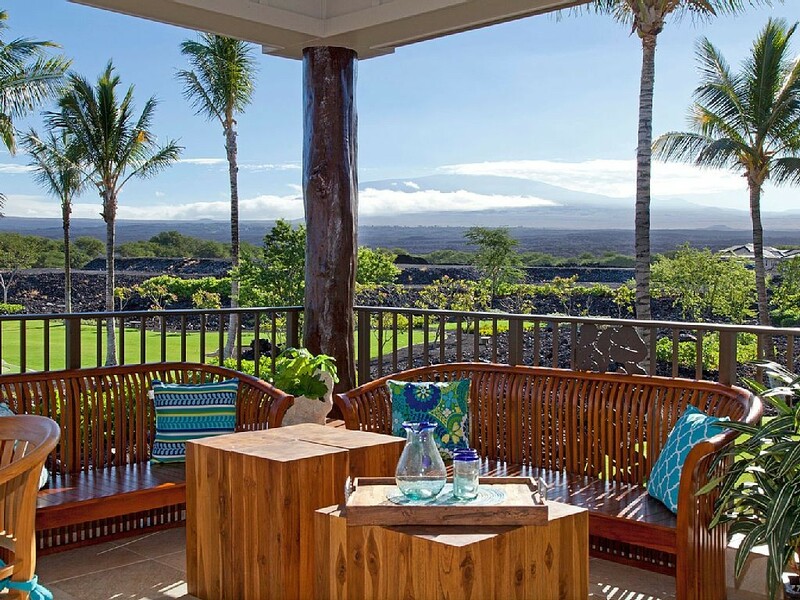 Relax on one of three lanais available overlooking spectacular Mauna Loa mountains or the Mauna Lani Championship golf course.